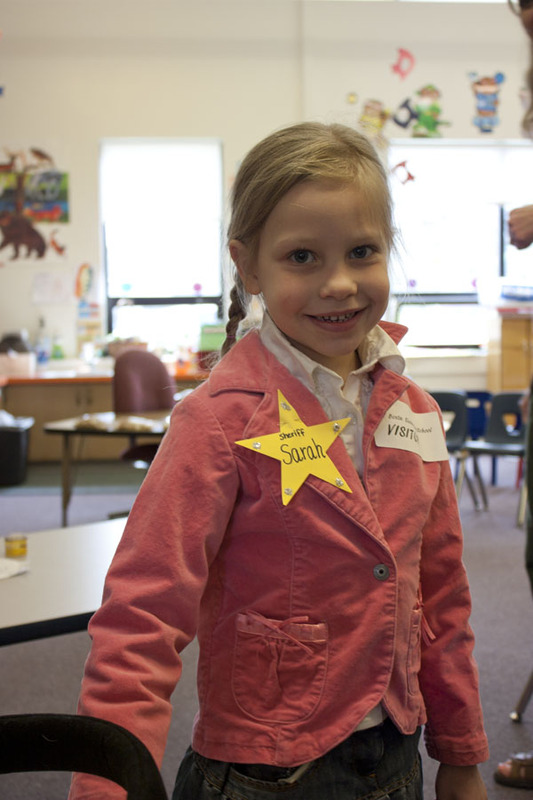 When Sarah has dress-up day at preschool (silly hair day, mismatched socks day) she is often resistant. "Silly isn't cute, Mom." 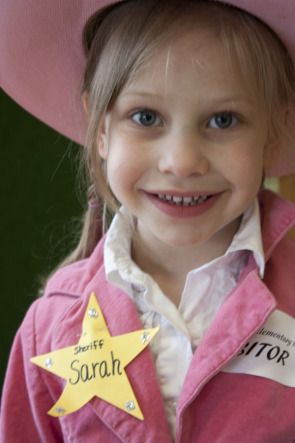 So when told her she could dress up as a cowgirl for Kindergarten Roundup, I didn't expect her enthusiastic response. 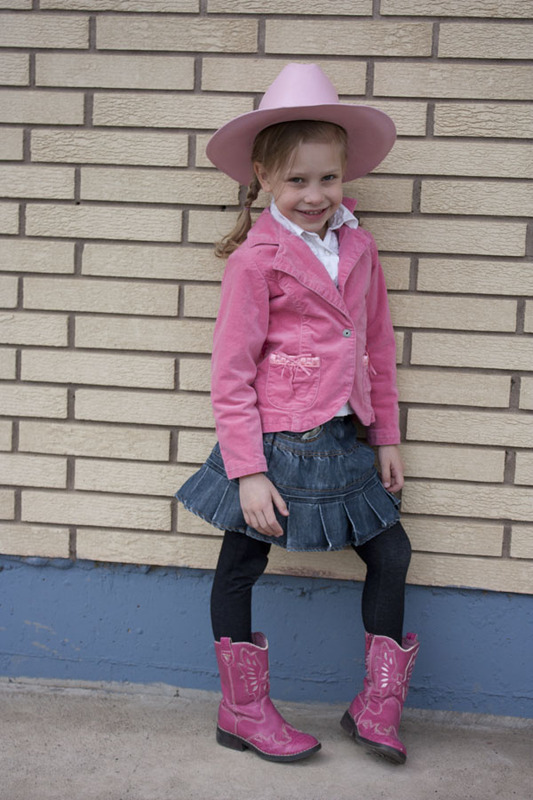 "Cowgirls always go like this with their feet, Mom." She has a giant class of . . . 13 kids! They are certain to be a tight-knit group by the time they get through their 13 years of school. Her teacher is one I knew when I was growing up and she is energetic and awesome. I love a small town! And now we can't wait for fall when Sarah can ride the bus with her sister and go to all-day Kindergarten. (After a nice long summer break, of course).